In keeping with our longstanding commitment to the use of technology to deliver state-of-the-art Neurology care, The Messina Neurology offers telemedicine for virtual visits. Although telemedicine is any type of electronic patient encounter, such as phone, email or video, we feel strongly that a face-to-face interaction between two humans is the most beneficial to the patient. Therefore we chose to use video telemedicine to have virtual visits for our established patients. A virtual visit is like an office visit, only it is done face-to-face over the internet with secure video technology, since many of our neurology visits are conversational, in the office or online. The medical assistant will call and ask you questions, as they currently do in person, about how you are doing, along with other structured information about symptoms and medications and about anything new which might have developed since your last visit. The doctor or nurse practitioner will then log in to talk to you, face-to-face. The visit will be just like the in-person visits. At the end of the visit, the RN will then go over any necessary teaching and your next appointment will be scheduled. At the end of the session, we will electronically send your prescriptions as well as requests for any testing which might be needed. We understand the need to follow patients closely when managing complex neurological problems and we understand the inconvenience and expense incurred by our patients coming to see us from outside of the Greater Lansing area. For this reason we initiated a system which allows secure, encrypted virtual video visits, in compliance with HIPAA patient privacy requirements. 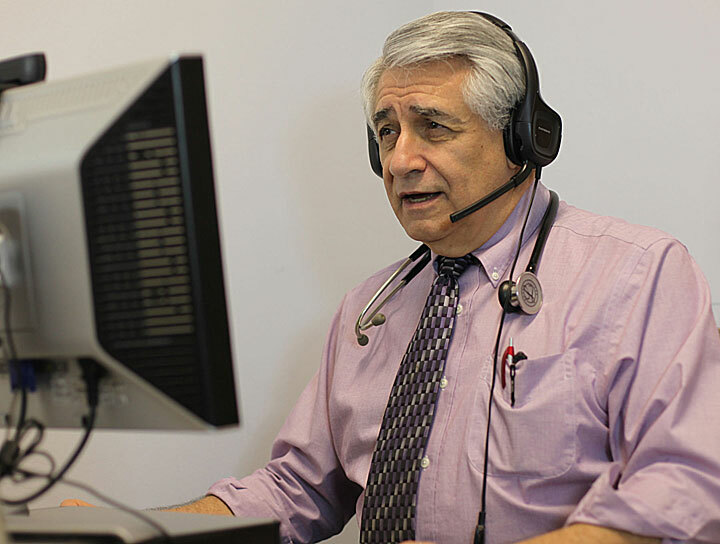 Our new technology allows us to conduct clinic visits through the Internet, with Dr. Edmund Messina, Mrs. Noel Helmic, our medical assistants and registered nurses as usual. The patient needs to have access to a high speed internet connection and a web camera on their computer. The system is compatible with Windows computers, Macs (Mac OS 10.6 "Snow Leopard" or later), iPads (iOS 6.0 or later), iPhones (5 or later) and Android devices (4.03 or later). What is an "established patient"? An established patient is someone who we have seen in the office as a new patient. This is important because a first visit is when we do a complete neurological examination and spend a lot of time getting to know you. Does insurance cover virtual visits? Although some insurances are beginning to cover telemedicine visits, many do not. There are indications that many more will cover them in the near future. You will need to talk to our front office to see what the charge, if any, will be. We anticipate that this service will be cost-effective for many of our patients by offsetting the time spent travelling, cost of fuel and lost time from work plus whatever deductible or copay is needed. Certainly, the weather can make travel even more complicated in the winter. Copyright 2016 Edmund Messina M.D.